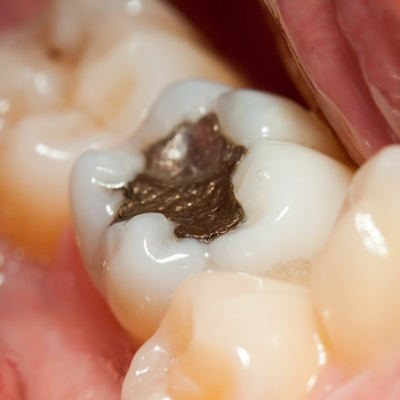 Even though the Food & Drug Administration has given their blessing to dental amalgam, their site still warns the general public about elemental mercury and the damage it can do to the body. They say that mercury vapor can possibly bioaccumlate, or slowly build-up in your kidneys or brain–although no studies have shown any negative effects so far. Because mercury is a neurotoxin and since you can’t just dispose of it easily into water supplies, Dr. Colpitts says that it’s worth patients time to weigh the pros and cons. Dr. Alvanforoush is a doctoral student from the Melbourne Dental School at the University of Melbourne. Direct resin composite restorations are becoming more popular, as patients prefer tooth-colored restorations because they offer a superior aesthetic appearance, and patients want to avoid the placement of new amalgam in their mouths. The study authors noted that substantial advancements and changes in composite materials and adhesive systems have taken place over the last 20 years, but no systemic literature review has assessed the clinical performance of posterior composite restoration . . . The authors concluded that comparing the reasons for failure over the last two decades had revealed an important shift as secondary caries, postoperative sensitivity, and wear were reduced as failure factors in contrast with the increased role of tooth fracture, restoration fracture, and endodontic treatment as reasons for failure. “The greater level of fracture may relate to the increase in size of restorations now being placed; however, more detailed data are needed,” they wrote. Read the full article here . . .
Again, the top reasons for failure included things like tooth fracturing and the presence of secondary caries. While fracturing can sometimes occur due to traumatic accidents, it can also occur in minute amounts due to bruxism (teeth grinding). And since bruxism and secondary caries are both preventable (mouth guards and good oral hygiene), you can make composite fillings more viable with a little extra care. January 9, 2017 — Soon you might be treating your patient’s caries with a collagen sponge filled with a drug — first tested to treat Alzheimer’s patients — that stimulates the natural ability of teeth to restore dentine. A study published January 9 in Scientific Reports by researchers in the U.K. documented a new method of stimulating the renewal of living stem cells in tooth pulp. While still needing human clinical trials, this approach may allow large cavities to be repaired without the use of cement or fillings. Sharpe is the head of the craniofacial development and stem cell biology division at the King’s College London Dental Institute . . .
After removing caries decay, a tooth’s soft inner pulp is exposed, and a natural dentine repair process begins. This process uses a form of stem cells in the patient’s mouth that becomes new cells. These cells release a form of reparative dentine, according to the study authors. Read the full here . . . Although this kind of restoration still has many kinks to work out, the fact that the study authors are eager to get this kind of treatment into clinics ASAP is exciting. In the meantime, if patients focus on preventative dentistry measures, they can have long-lasting composite fillings and avoid amalgam altogether.